Image of silver grain / shot. Reliable supplies fine silver grain / shot that is 99.99% (4N) purity, with consistent spherical shape. Our grain is screened for oversize particles, and is cleaned and dried, eliminating moisture or surface contaminants. Silver grain is a staple item in our product line. We maintain a stock level that allows us to ship the same day if ordered in the morning, or next day if ordered in the afternoon. What is the difference between grain and shot? The terms are used interchangeably with some industries in the habit of calling it shot and some grain. Of practical importance is the shape and size of the grain/shot and the preference can vary depending on the application in which it will be used. 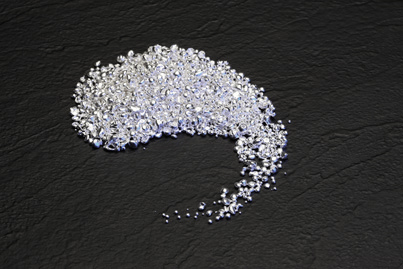 We offer a full range of products and services such as standard and customized silver products, testing and certification, and shipping insurance. Our fast turnaround times include next day delivery for stock products.